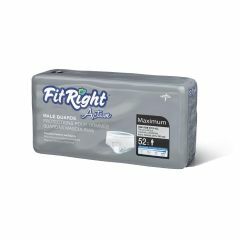 These FitRight Active Male Guards have a soft breathable back sheet for increased comfort and discretion. Super absorbent core with fast acquisition layer for optimal dryness and protection. Adhesive to hold product in underwear.